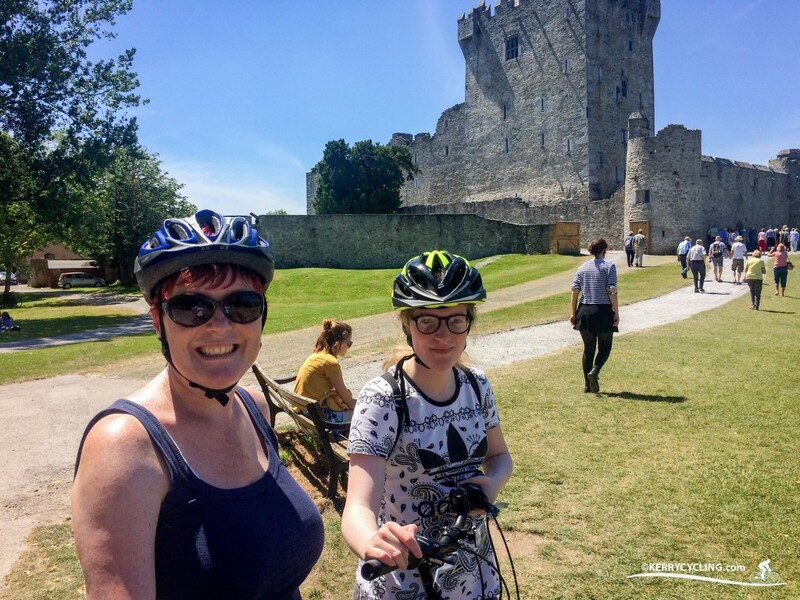 This is the go to cycling route for anyone wanting to explore the sights of Killarney including Ross Castle, Muckross House & Gardens, Brickeen Bridge, Dinis Cottage and Torc Waterfall. It contains a total of 27km of a cycle that you can cycle all together or you can take parts of it if you wish to shorten the journey. Much of this cycle is away from motor traffic and in amongst the labyrinth and network of trails that scatter around the Killarney National Park. Be sure to stop and enjoy the view on this one, and don’t forget to take loads of photographs, this route will be staying with you for quite some time. Some of this route, particularly around Muckross House and Gardens, will be busy with walkers and other cyclists so exercise caution. Also be mindful of traffic in and around Killarney town center. A section of this route from the entrance to Dinis Cottage back towards Torc Waterfall is along the main N71 so maybe if travelling with young children or uncertain cyclists, it is might be best to stick to the Killarney Demense, Ross Castle and Muckross House without travelling to Dinis Cottage. You can begin this route anywhere within the town center in Killarney. Head westward along the R877, also known as the Mission Road, until you can see the splendor of St Mary’s Cathedral. 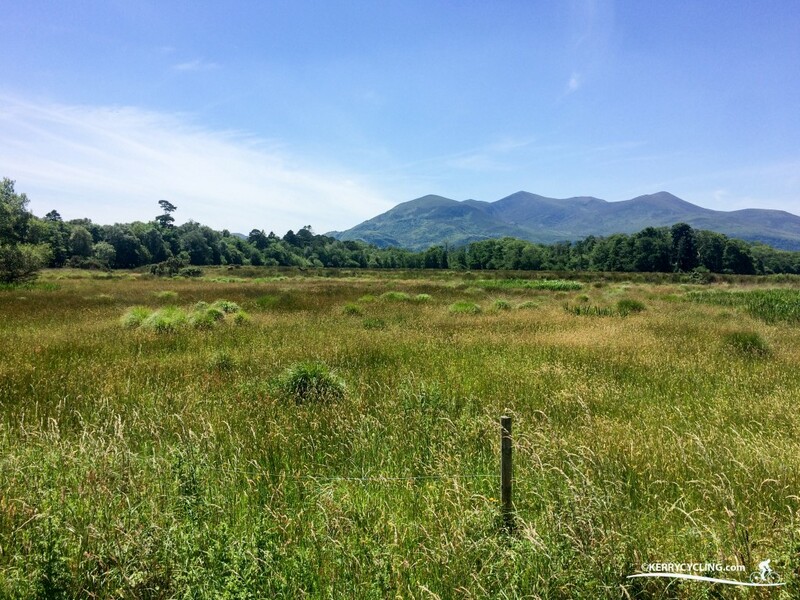 Across the road from the Cathedral is a gated entrance to what is known as Killarney Demesne, where you will disperse with motor traffic for a while and head along the paved tracks towards Ross Castle. 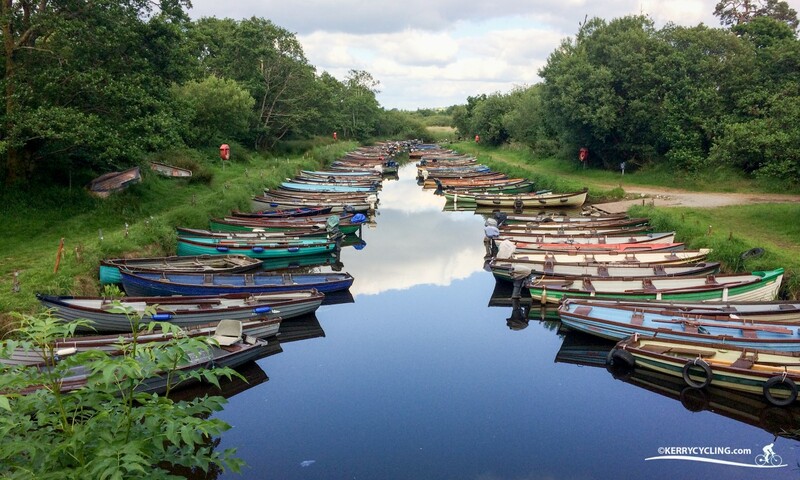 After visiting the Castle, follow the Ross Road back towards Killarney and when intersecting with the N71 take a right at the T-Junction and head southwards towards Muckross. After about a kilometer and just across from the Gleneagle Hotel there is a dedicated bike and walking track on the right hand side of the road. Begin your journey on this track all the way into Muckross House and Gardens. Just before reaching Muckross House there is an option to turn right for Dinis Cottage and the meeting of the waters. It is up to you if you wish to see Muckross house first and double back to take this signposted track to Dinis. Please be aware that if heading to Dinis Cottage that the walking and cycling traffic is signposted as being one way. On towards Dinis Cottage the road having been flat up to now sometimes climbs upwards for a very short rise before a welcome brief descent afterwards, this continues until the route meets Brickeen bridge, a wonderful spot for a stop and a look at the surrounds. After Brickeen continue onwards towards Dinis Cottage and onto the main N71 road temporarily. Please note this road can be busy so take care to stay left of traffic. From Torc waterfall be sure to follow tracks directly back to Muckross for a return journey to Killarney via the entrance earlier. Muckross House Garden Restaurant (10km/20km)- Open all year round.